This week’s Secret Ingredient is Basil! Right now the basil is growing like crazy in my herb garden. Well mostly because I don’t really tend to the garden, I just go out and cut from it. I have to say there is something very satisfying about walking outside to cut basil, thyme, sage, chives, rosemary, and kale from my tiny garden. I love it. Especially the fresh basil. I love to make pesto, add it to my Roasted Tomato Soup, use it in Spaghetti and Meatballs and my latest pasta dish, Individual Lasagnas- Gluten, Dairy and Soy Free. If you happen to have a lot of basil on hand, check out my Kitchen Tip. As I was gathering information on basil, I went to my trusted source book, The Deluxe Food Lovers Companion. Really if you have not bought this book yet I don’t know what you are waiting for. Amazon has a great deal on it and you can get it in my store. (thanks for the tiny % they share with me). Basil is a key herb in Mediterranean cooking and essential to the traditional Pesto. Basil has beautiful and delicate green leaves except for the Opal Basil which is a beautiful purple. You can purchase lemon basil, anise basil, clove basil and cinnamon basil all having their per fumy fragrance and flavor matching their names. It grows abundantly in the summer but you can keep it alive on your windowsill in the winter. I’ve even bought the ones from the grocery with the roots on them and kept them going in a glass of water for months. Basil should be refrigerated, wrapped in barely damp paper towels and then in a plastic bag for up to 4 days. Or I cut off the bottoms and put them in a glass of water and they last me a long time in my cold house. You can put them into the glass of water in your refrigerator with a plastic bag over the leaves and they say it will last a week, changing the water every 2 days. I guess I’ve been lucky. Basil leaves are very delicate and can bruise easily. They can also lose much of it’s flavor in long-cooking dishes. To keep it fresh and to have that flavor pop more, add the fresh basil just before servicing or as a garnish. Chiffonade is a great way to be gentle when cutting the leaves. You stack your leaves, roll them up length wise gently and then make thin slices. You will end up with ribbons or translated in french “made of rags” or chiffonades. Looking into the books I have on Healing Foods they list the properties of basil to helpful with the treatment of headaches, a digestive aid for vomiting, indigestion and flatulence, a mild sedative, and for depression. Keep in mind just because it’s printed in a book doesn’t make it right so you should further research this information and not use it as any type of medical advice. I am not qualified to give that. But I am qualified to cook with basil and I love how it tastes in food and on top as a garnish. I’m also curious to use it in refreshing drinks. Hopefully someone will share some of those recipes and many more. 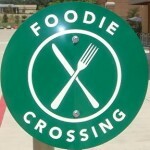 Check out the Friday Foodie Fix page for all of the “how to” directions to participate. Just remember to link back to this page and share the love. Next week’s Secret Ingredient is ….. Sunflower Seeds! Another week of a great ingredient. I linked up my Pistachio Pesto Crusted Chicken. Thanks for hosting, Diane!!! Kim- Wow, that just sounds mouth watering. Thank you for sharing. Mmmm LOVE basil – I added a couple of my no-cooking-required recipes from this summer! Jenn- Love the idea of no cooking on these really hot days. Thank you for sharing. Stephanie- Ah, another basil fan. I love the smell and taste of basil. My basil is not doing so well. 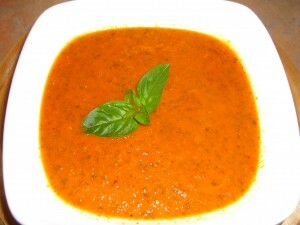 I used dried basil in this spaghetti sauce recipe, but fresh should work too. Linda- Dried basil works great too! Thank you for sharing. I've been growing basil in my AeroGarden on my kitchen counter since January. I've had a little trouble keeping up with it, actually. Instead of using lime juice and cilantro in my typical dishes, lately I've been substituting lemon juice and basil just so I can use the fresh basil. It's really very good on shrimp and fish! Heather- Basil can really be bountiful. I like the ideas you have shared. Thank you. Yay basil! This is my first week linking up – thanks for hosting. Can't wait to try some new dishes with basil. I love it! Maggie- Thank you for joining in. It's a great way to share and find new recipes each week. If you are looking for past ingredients go to the FFF page. You can also keep adding recipes to past weeks. I'm already out of pesto and need to make more. So good on fresh bread. My holiday cheese dip is up. Love to sit out on the patio in the summer with this dip and a glass of wine as well. Kathleen- I like the way you think! Thanks for sharing. I love basil – and it seems to be one of the few things that's thriving in our balcony garden this year. These recipes look great! Christy- What else are you growing on your balcony?